I worked my way through Miami University and barely escaped with a degree in Film & Television in 1980. Got start in big-time TV running CTV-3 in Springfield producing the "Roger Reeb Show" and working with fellow classmate Bryon Walls. Soon followed girl to Boulder, Colorado and stayed for 17 years working my way in and out of a variety of jobs and relationships and today, I bear no visible scars. (Somewhere in there, I did 2 stints in Los Angeles working on low budget movies for Roger Corman. If you rent the bomb of a movie "Lords of the Deep", and can stand to watch it to the end, my name scrolls up as the very last name in the credits, misspelled, of course). In 1997, I had to choose between a job at CNN in Atlanta or following another girl I had just met at a wedding back to old Europe. This time I followed the right girl; lived in Paris with her for a while and brought her back to the States as my wife. Currently I am running the Belmont Media Center, a new community TV station in nearby bucolic Belmont. I enjoy training and working with special needs students and developmentally disabled adults. 1972: Circle of friends including Jim Snorf, Keith West, Bryon Walls, Danny Hamilton, Chris Guyton, my brother Tim "Lance Romance" Hansell, Chris Davy, Don McCluskey, and the late, great Ed Ricketts formed the "Experimental Film Society". School officials made us change the name to "International Film Club", because they thought our name was too edgy. We made a strange movie called "Revenge of the Air Pirates" which resembles a version of Monty Python TV. Later we made a send-up of James Bond that was one long chase scene across rooftops and through streets of Springfield. Ed Ricketts became legend at that time because he performed dangerous and stupid stunts on camera (much like what you can see on "Jackass" today) without having any idea of what he was doing. Ed was very special to those who knew him then. I saw Ed just before he died a couple of years ago, and he was fearless even then, knowing he had little time left on the planet. 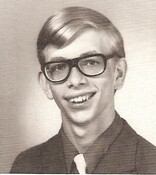 When the Film Club got our Yearbook photo taken in the school hallway, Andy Boller, (class president 1972) happened to walk by and remarked that "there's all the weirdos in school together". Jeff Hansell added a photo to his profile gallery. Visiting NY with the family this winter. Fun! 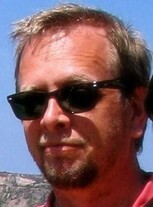 Jeff Hansell updated his profile. View. Long weekend in Provincetown . . .
Jeff Hansell added a comment on his Profile. New comment added. 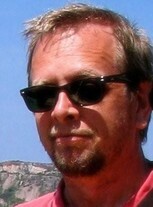 Jeff Hansell has left an In Memory comment for his Profile. I did not know Mike well. We were in a class together, and we did some sort of project. He was a fun guy and always treated people well. And if that's all I can remember, then he must have been a great and good friend to many. Sad to see his passing. Jeff Hansell has a birthday today. New comment added. Jeff Hansell posted a message. New comment added. Before I forget. An early Happy Birthday to you! We share almost the same birthday. And people usually forget, because mine is Dec. 30th. Thanks for remembering . . .Hope you and family are well! Jeff Hansell posted a message. Happy Birthday Dave! Thanks for organizing our reunions! You are the man. Looks like another one coming up next year? Jeff Hansell added a comment on his Profile. My twin boys, Jules & Mathis, looking like they stepped out of "GQ Junior" at the wedding of my niece, Betsy in New Carlisle, this past September. Happy Belated Birthday Bryon, "the man" Walls! Jeff Hansell has a birthday today.